It was a chilly and blustery morning when my mum and I set out from our hotel, notebooks and minds prepared to be filled with jottings and ideas. We arrived early and as other guests trickled in after us, we had a go at table-soccer. She won. A bit of tentative mingling and checking the tea supplies followed, and then the suddenly growing crowd filled the main hall, to stare expectantly at the stage. A man strode up and with a big smile welcomed us all to the 2015 Conference On Sustanability, and so began three days of presentations, workshops, networking, a constant barrage of new ideas and the drinking of a lot of tea. For the first day I juggled presentations with lesson planning, writing last week’s blog-post and marking. It seemed that almost everyone else was grabbing time to sit and write or type, though as I gradually realised, much of it was last minute changes for their own presentations. It seemed I was one of the very few who was there without a presentation looming over their heads, or even a Dr. next to their name. One memorable presentation from the first day concerned ‘novel ecosystems’, environments that many people nowadays imagine are wilderness, but are in fact heavily influenced by human activity. Our ability to measure the wildness of an ecosystem decreases as our childhood memories of nature, which take the place in our minds of the ‘ideal’ environment, become more and more degraded with each generation. It made me wonder about the bush I’d grown up in, which I had thought was rugged and wild, but which had long been encroached upon. It’s still wilderness in my mind though, with the addition of a few pockets of Tasmania and New Zealand. Will I ever see truly wild nature? Whether I do or not, at least I’ll be more aware of judging what wilderness really means. After a day of listening and a quick change, my mum and I made our way to the Copenhagen Town Hall, which was even more impressive on the inside than the outside. 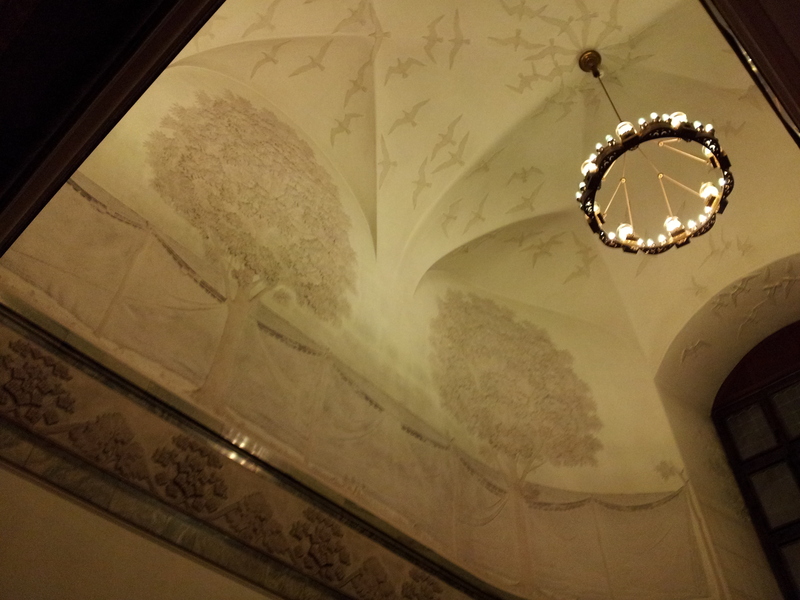 There were grand halls, lots of flags and the busts of many men, and on the walls and ceiling of a stairway, raised reliefs of trees, flowers, gulls circling around chandeliers and clumps of clover. The reception hall, where we were treated to the traditional pancakes that are a specialty of the old building, was hung with town crests and on one wall the crests of Iceland, Greenland, the Faroe islands and Denmark were displayed along with two gilded walrus skulls. I suppose even if you have no overseas territory anymore, it doesn’t do to let anyone else forget what you once had. Once we were back outside we found a bookstore cafe called Paludan’s, which was extremely cosy. Bookshelves lined the walls, and most of the miss-matched tables were filled with students, office workers, tourists, parents, older couples and hipsters. A shared dinner of nachos (‘I’m not hungry, I’ll just taste yours.’ ‘Tasting isn’t eat half mum.’), tea and a well made cup of coffee followed, a good end to a quite full day. One each of the three days of the conference, there were guest speakers before the first run of presentations started. 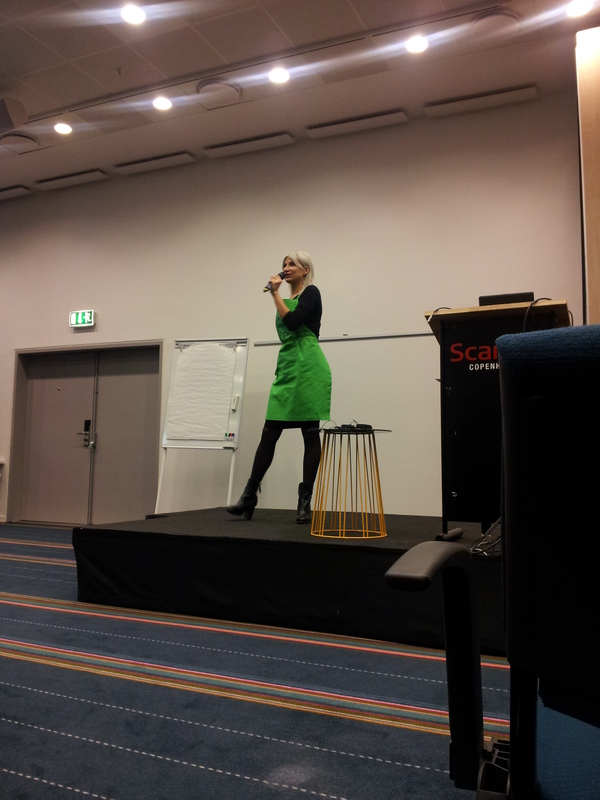 The speaker who made the strongest impression on me was Selina Juul, the founder of Stop Wasting Food. She spoke about the massive amount of food needlessly wasted in many parts of the world and the culture of over-supply. It seems that Denmark is way ahead of many other countries in terms of wastage, partially due to her efforts I think, and it was pretty clear from her presence, passion and past efforts why they decided to make her the Dane of the Year for 2014. She was also willing to put her words into actions, happily eating an unsellable banana as she sat down. My mum’s presentation followed soon after, and went really well, including at the end enthusiastic thanks from members of the audience. I blogged and worked, listened and chatted, talked to a woman from Nigerian about the reality of life in the same country as Boko Haram and drank tea. That day we also decided to wag, just a little, and so crept out around mid-afternoon and enjoyed a walk around the city and another visit to the History Museum. My mum was also very inistent that I see a clock that she had found in the Town Hall. 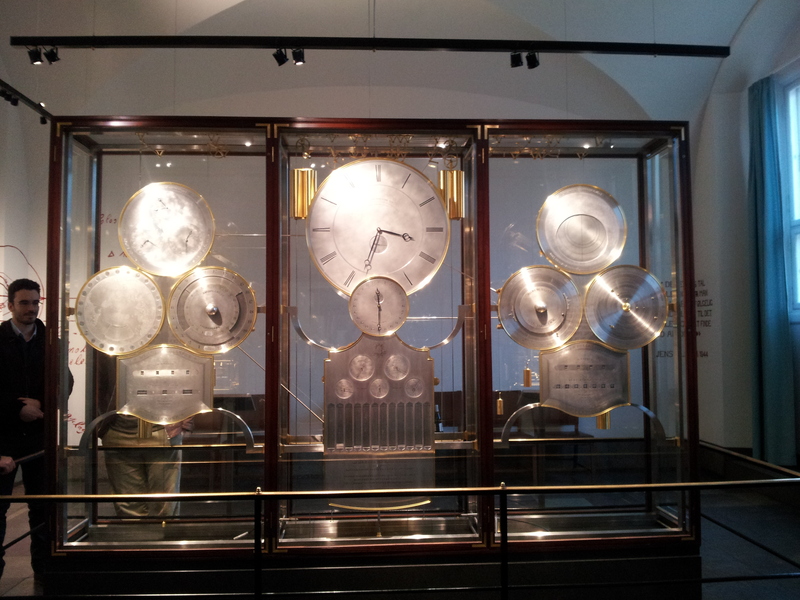 It was the World Clock, which was started in 1955 and includes the movements of the planets, the days of the year, the seasons and seconds. 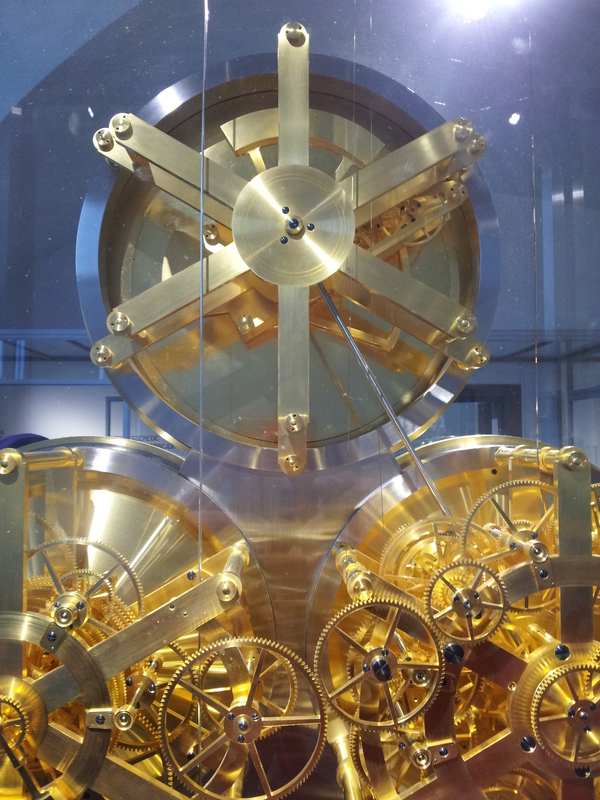 Most remarkably, it has one gear that completes a revolution every 25,753 years. Which seems as good a symbol of sustainable thinking as anything else I’ve seen. As night descended we found the Georg Jensen shop and spent a while wandering around gasping at the designs and a lego shop which had every possible kind of lego piece you could imagine. Thus summing of Denmark quite neatly. That night we had booked tickets to the official conference dinner to be held at Cafe Petersborg, an old institution in Copenhagen. It sat near the Amalienborg palace, around the corner from the Little Mermaid, in the part of town reserved for flash offices and restaurants that were too fancy or too well-established to be replaced. It dates from the 1700s, and has the low wooden ceiling and a few twisted door frames to prove it. The food was tasty and traditional and the company even better. We shared a table with a Portuguese lady who lived in Brazil and told us almost unbelievable stories of what it’s like to live in São Paulo. We heard about the hopelessness of law enforcement to the regular danger of theft on public transport and in your car, and a girl who was shot at a train station because her coddling parents never taught her to duck when she heard gunshots. Fortunately our own ride on public transport was much less fraught with danger, the worst risk being that I wouldn’t leave when we reached our stop. 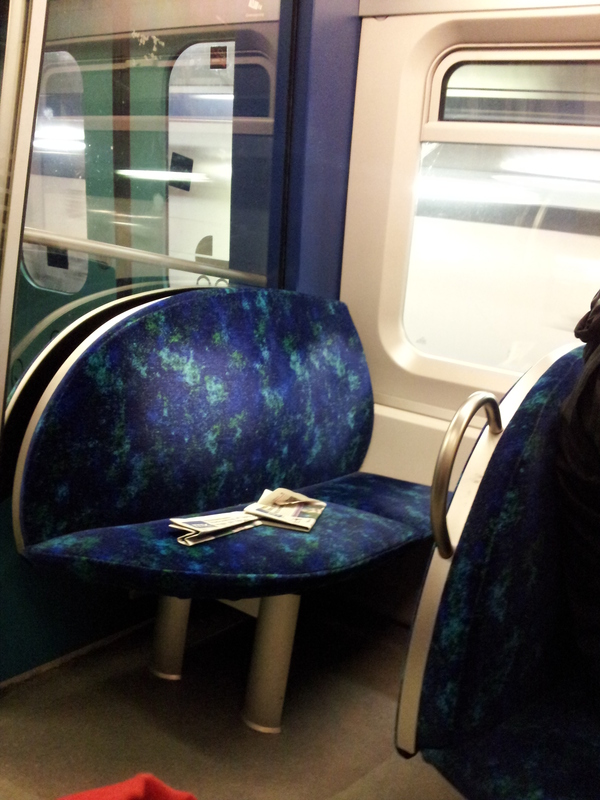 The seats were very nice, considering it was a train. I’m not sure if I’d say chaise-longue, but not that far off. Before we knew it, we had reached the final day of the conference. It began with a final speaker, and then a day full of ideas and talking. I sat in on a presentation about love ethics in sustainability, agroforestry in Taiwan and then a series about educating for sustainability. It was during this last series that I heard a speech about virtue ethics with reference to ancient philosophy, and Plato in particular. I very much wished, as I sat and listened and then chatted to the presenter about it later, that she had been my philosophy teacher at Uni. By the time the afternoon ticked around there were far fewer people, most likely because many had left after their presentations of were being tourists. Finally the end of the day came, with the final speech and a call to continue to work towards a sustainable future. So the conference was over. For our last night we ate out at a pizza restaurant and enjoyed a final stroll through the city, talking about what we’d learnt, who we’d met and the days to come. The next day we caught a train to my home town, bidding farewell to Copenhagen, so full of greenness, bookstore cafes, endless clocks, strange accents, wonderful folk and history. Well done, Danika. You manage to make a conference sound interesting – a difficult task no matter what the topic.